Do you guys remember that way back in mid June I went to my first ever real blogger event, aka bloggers ball? On our way into the event, some PRs from Luscombe drinks invited us in with a cheeky shot of non-alcoholic fizz to get our taste buds tingling. I was so impressed by the taste and how kind they were, that I reached out to the brand to thank them for the welcome, and they were so lovely that they even sent me some full sized bottle samples to try out! Although I do love a good glass of white wine or two, there are always times at which you want something a little more flavoursome than water, but you just can't drink alcohol. I'm talking about the ol' Sunday night before work on a Monday, or a picnic in the summer sun that you've had to drive to. Ugh. I love a good elderflower presse or cordial in the summer. Pair that with some ice and a long straw and you've got yourself a very happy, chilled out Steph. It's one of those drinks that actually makes me feel as though I'm doing this whole adulting thing correctly because y'know, it's a soft drink that isn't squash or lemonade. Luscombe's wild elderflower bubbly* is one that they suggest can be used as an alcohol-free champagne alternative for big events and honestly? As much as I love a good glass of champers (who doesn't? ), I think I'd be hard picked to choose between the two. 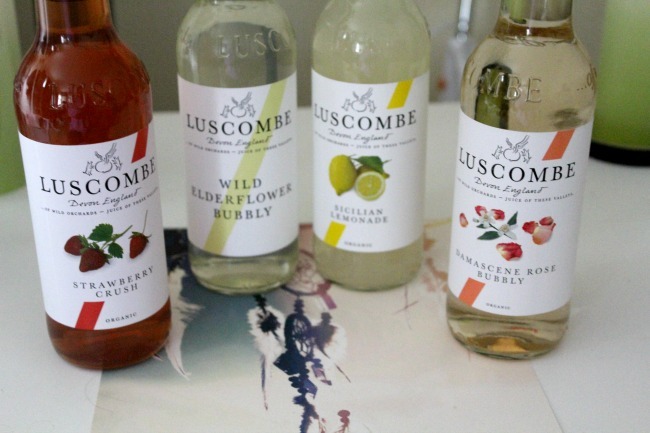 I was super excited to get to tasting the drinks Luscombe sent over as they're all natural, organic and made in Devon. I've spoken before about how much I love supporting UK brands because it not only helps businesses here grow, but also cuts back on my carbon footprint. This collaboration even had the boyfriend excited. We split each bottle between us and even drunk it out of wine glasses to make it a special treat of an evening when we didn't fancy actual alcohol. 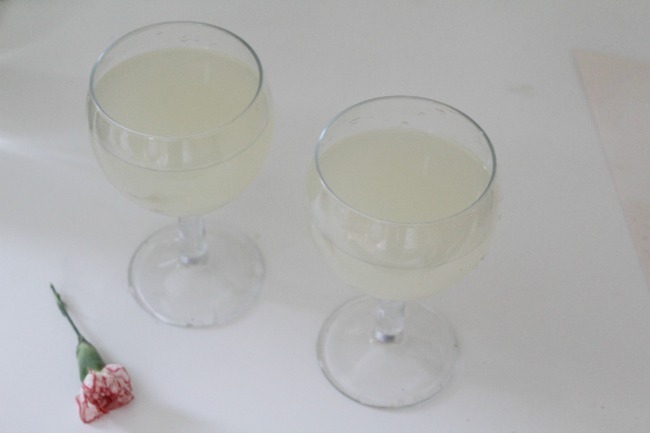 The Sicilian lemonade* was his favourite, with its bitter tang and smooth consistency. This one was bubble-free and made for such a lovely soft drink when we had our little heatwave last week! Drinking real lemonade will always remind me of visiting Camden, as I usually pick up a glass at a stall there, so this had a little added value for me! My least favourite of the four I got to try had to be strawberry crush*. I'm a big lover of strawberry flavoured anything, but this had a fair amount of lemon in it too, which gave it a tang that I just wasn't a fan of. However, it was still a refreshing drink to come straight out of the fridge, mmmm. And, finally, I got to give the Damascene rose bubbly* a try. My boyfriend was really apprehensive about this one, and there were a lot of 'ew, why would they put rose in a drink, bleurgh I'm going to hate it'. 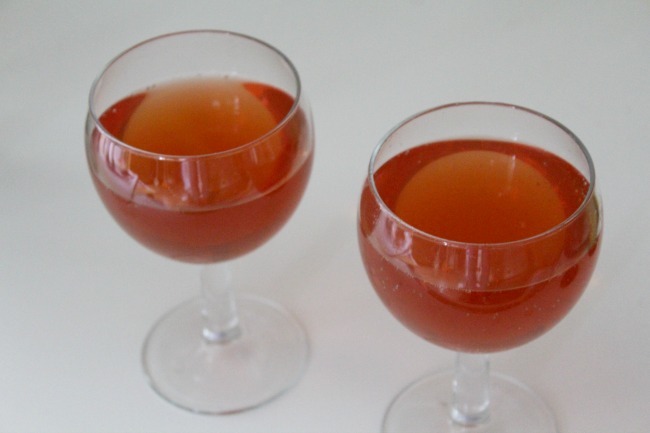 But, in actual fact the rose flavour was fairly subtle, and I would definitely say this would be an interesting alcohol free drink to serve at a wedding or party. I know I'd be intrigued at trying a flavour that you rarely come across, and again, it was nice and bubbly, and almost had me tricked into believing it could have been alcoholic. Have you tried any of Luscombe's range? I've never heard of this brand before but they sound fab! I think Strawberry Crush would be my fave, great post!